We supply a complete line of garage door parts, replacement parts, accessories, garage door openers, and operator parts for all manufacturers. We have an established agreement with many of the garage door parts and hardware manufacturers that allows us to offer the lowest prices available. Most orders are shipped the same day and can be delivered anywhere you request. There are several new products that we have recently added to our online store that we are very excited about. They include the Retractable Roll Screen Door Kits, innovative Porch Screening Kits, a energy efficient and cost saving Garage Door Insulation Kit, Sash Window Spring Balancer Replacements, and the all new Folding Bookshelf Door system. With our desire to produce the best results, using individual initiative and many years of experience we select top of the line, and the heaviest duty products available on the market. All at affordable prices. Some of the manufacturers we represent include: Stanley, Genie, Lift-Master, NW Door, Allstar, Holmes, Chamberlan, Allister, Linear, Taylor, Windsor, Fehr, and many more. We are second to none with our superior service, skills, and experience. No more rattles and shakes in your garage or the adjoining rooms when the garage doors open and operates efficiently. Rather than the drafty cold and searing hot garage you are used to, transform your garage into a comfortable, useful area of your home. Beyond being functional and reliable, your garage doors should provide the look, quality, and features that add to your home's value and your peace of mind. Maintaining, adding, upgrading, or replacing garage doors not only increases its curb appeal but with a properly maintained insulated door, you will reduce your energy consumption and increase your comfort. If you have a room above the garage or your garage hosts your heating and cooling system you will save on utility bills, both in hot and cold weather, and add to the security protection of your home. Call us and speak directly to one of our support specialists. We provide a local team of window and door professionals to serve your needs. No automated phone systems or call centers! Our staff consistently makes every effort to provide the highest level of customer service. Exceptional customer service is just one of the ways you can distinguish us from the competition. Window Spring Balancer replacements. We have included the most popular sash support channel balances utilized (OEM) for convenient online ordering here. They are the most commonly supplied balancers in the industry for (non-tilting) vinyl and aluminum single hung windows. Our balancers are fabricated with the high quality materials and workmanship. Glide Screen retractable roll screens are there when you need them and disappear when you don't. They provide a distinctive touch to your home with a way for you to re-connect the outside of your home with the inside. A retractable screen solution with all the functionality of traditional screen doors without the traditional hassle and unsightly appearance. Please visit our new line of Garage Door Decorative Hardware. 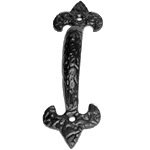 Add and create appeal with our Carriage House and Americana series decorative hardware accessories. Folding Bookshelf Door system or folding shelf doors. While doors resembling this system have been on the market for some time, none of them have the engineering, durability and appeal. With a 500 pound load weight it glides smoothly and effortlessly. A wide variety of colors and hardwood species are available. This is the best folding shelf door on the market.